Sun setting behind Murdock mountain. Taken from Willow draw on a muddy road. Sunflower was taken on a cloudless sunrise. 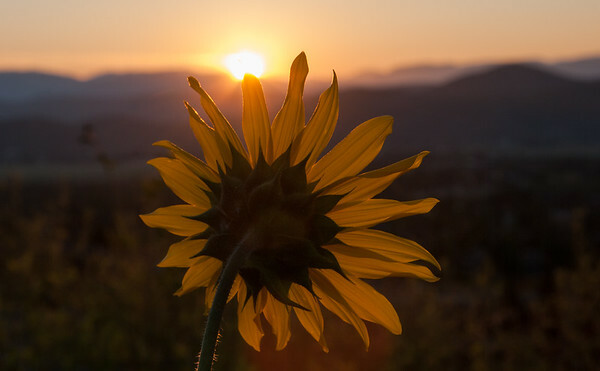 A pretty “Sunflower watching Sunrise”. Park local city photo. 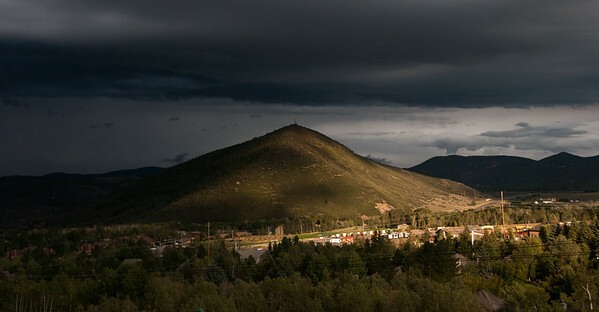 The ominous storm blocks out the light, yet Quarry Mountain is illuminated by a break in the clouds. Click Here to see more photos of the month.